Relax gracefully outdoors in the Aaron Wicker Chair. 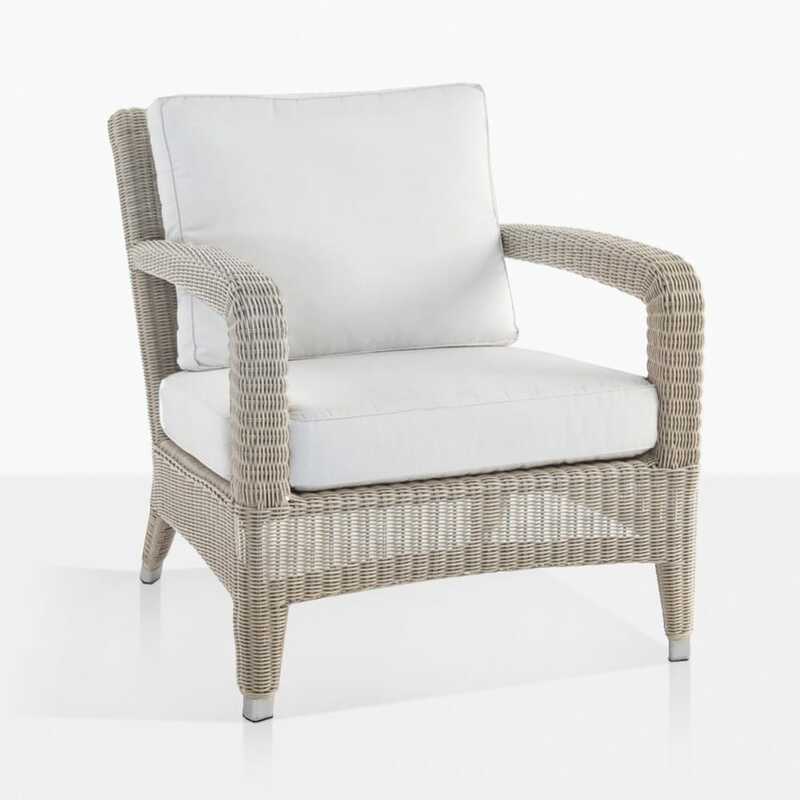 The soft hue of the wicker and cushions is light, airy and elegant, and the overall design has that classic and distinguished look that we know and love about wicker furniture. It’s exceptionally comfortable without being overly bulky. The powder coated aluminum frame is hidden under the exceptionally woven outdoor wicker. And the best news is, it comes with the plush Sunbrella® cushions as shown! 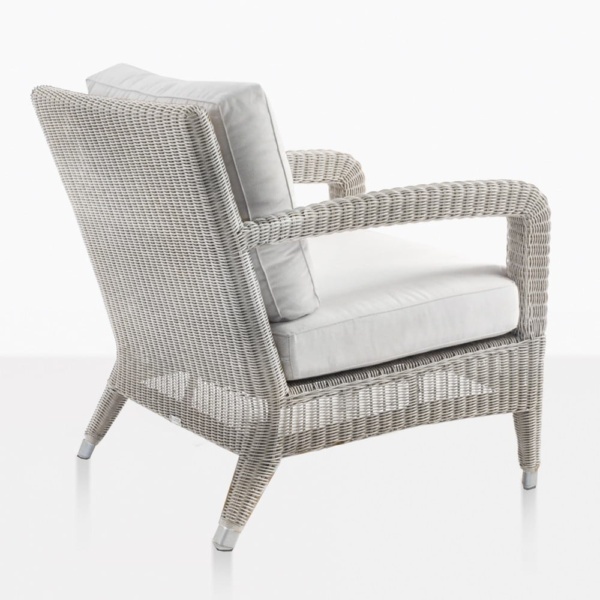 The Aaron Wicker Chair is a splendid choice for your balcony, patio, garden, deck, or sun room. Visit our famous showroom in Parnell today, we are open daily and look forward to helping you create an amazing outdoor living space. 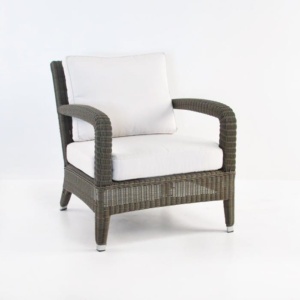 This classic outdoor wicker relaxing chair in stonewash is an excellent choice for your outdoor space. Add the Aaron outdoor wicker ottoman for the ultimate in relaxation. 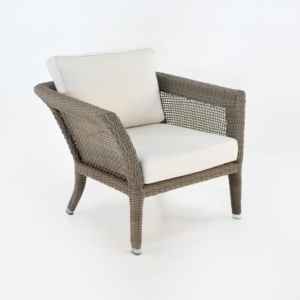 The Aaron outdoor wicker chair has classic good looks and is made with high quality materials. The outdoor wicker is beautifully woven onto a powder coated aluminum frame and outfitted with two plush Sunbrella® cushions. Design Warehouse offers many different choices for outdoor relaxing chairs, call us today to order your perfect chair. We are open 7 days a week and look forward to helping you.